The Ahoskie Police Department places a high priority on stopping illegal narcotics activity. With your help we can reduce the use and sales of illegal narcotics, as well as narcotics related violent crime in the Town of Ahoskie. 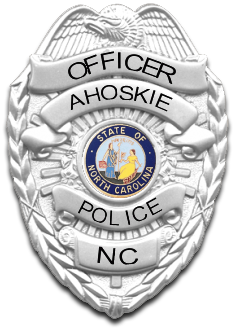 The Ahoskie Police Department’s Narcotics Division is responsible for enforcing local, state and federal narcotics laws throughout the Town of Ahoskie. Working in partnership, the police and the community can make a difference and help improve our quality of life. Drug abuse has increased dramatically in our nation over the last ten years. Unfortunately the Town of Ahoskie is not immune to this epidemic. We have compiled a series of articles to give you general information on narcotics which have surfaced in our community. Just hover over the “Narcotics Information” link in the menu above to access the list of articles. If you have any information about drug traffic in your neighborhood, please notify us by using the “Tips” form or stop by the PD to speak to an Officer in person. Help us clean up the drugs in Ahoskie, NC! Call today at (252) 332-5011. You can also call the Hertford County Sheriff’s Department at (252) 358-7800.